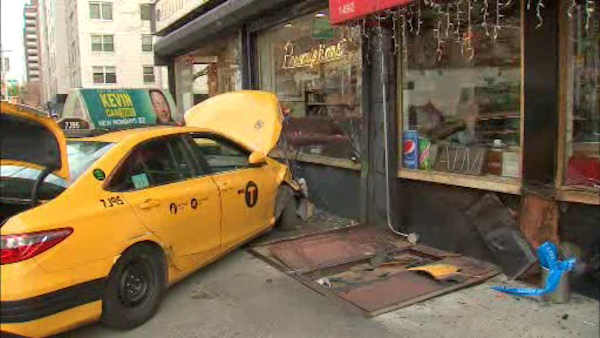 NEW YORK (WABC) -- A crazed cab driver hit a woman crossing the street in Chelsea. Police say yellow cab driver Adam Hernandez, 30, of Brooklyn, took aim at the victim as she crossed Sixth Avenue at W. 19 Street on July 26. Witnesses saw Hernandez speed through a red light and hit her. The victim as pinned between the cab and a parked car. Fortunately, she only suffered minor injuries. Police charged Hernandez with vehicular assault. According to police, the cabbie told authorities: "This wouldn't have happened if I was left alone."